2015 – 2016 is all about getting a babelicious wedding bod. And since we moved house, I’ve found this great gym just around the corner from my house that does all kinds of classes – high intensity interval training, kettle bells, circuits and loads more. It’s cheap as chips, the classes are small and it’s so easy to get to that I’m actually finding myself enjoying exercising a lot more. Who would have thought that would ever happen?! So I’ve decided to treat myself to some proper trainers that will make me look forward to exercising even more. I fancy something coloured but I’m very wary of anything that raises expectations! 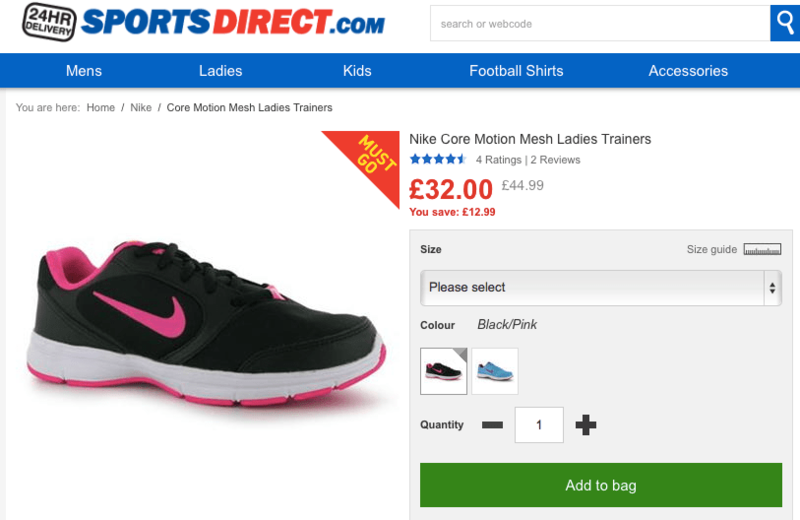 I think I’ll hit up Sports Direct as soon as I can to try some on. These Nike Core Motion Mesh trainers from Sports Direct look good, score highly in the reviews and won’t break the bank. Maybe I’ll give those a go – does anyone else have them and can give me tips? Any advice is greatly received! My better half, Andrew, has this amazing winter coat that he got from ASOS that is stuffed full of down and feathers to keep him warm. I borrowed it when I went to New York and it was -16°C and I honestly don’t think I would have survived without it! Any part of my body not covered by the coat was close to numb. 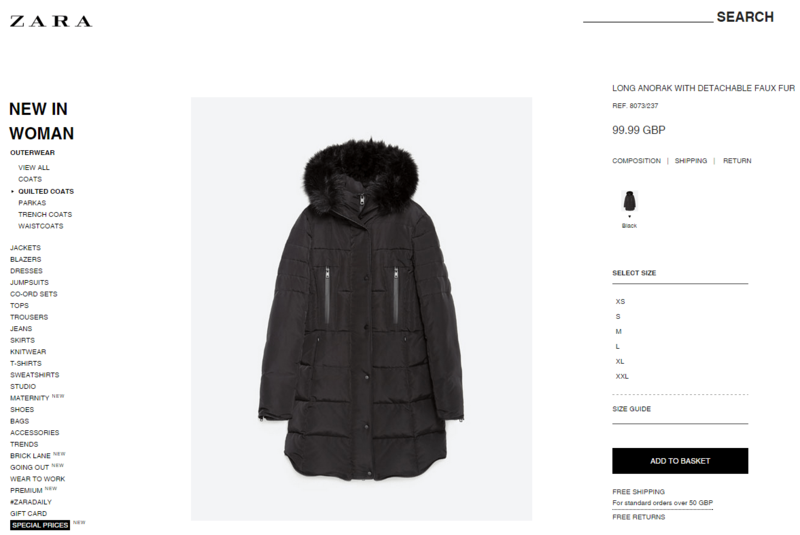 So a cosy, warm winter coat has to be on my wish list this year. Maybe this one from Zara? Filled with feathers so it’ll be extra warm and looks a bit smarter. What do you think? With the cold wind comes chapped lips and dry hands. Moving from cold air to overly heated offices, shops and homes means the skin on my hands can easily become dried out. Particularly because I have been told that everything you put onto your hands sticks to platinum and dulls it, which means my beautiful engagement ring gets less shiny every time I put hand cream on! Nooooooo. But I need to get over that and get moisturising. My trick so far is to slap on a load of moisturiser overnight while my ring is safely on my bedside table. I’ve heard too many horror stories of lost rings due to taking them off in public. Since starting to get the bus to work, I bought a backpack and a cross-body bag. The two together stop me from bashing into everyone as I walk through the bus. Ideal. But when I’m travelling, I need something smarter than a backpack and roomier than just a cross-body bag. My budget is pretty small, so I’m probably going to hit up Primark – I’ve seen a couple on their Instagram that look pretty tempting! I think that’s more than I can afford so best leave it there for now! 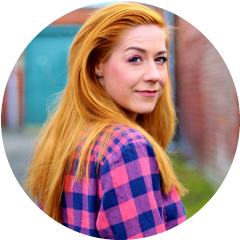 Thanks for commenting on my blog 🙂 Always love finding another North East blog to stalk, yours is so cute, as soon as I’m done typing away here I’ll make sure I go find you on Blog Lovin so I can keep up to date! As I’m currently saving for my wedding I’m trying to keep out of the shops, which is so hard cos I love the A/W fashion … I’m sure I can justify a trip to Primark though! Hi Chloe! Lovely to hear from you. 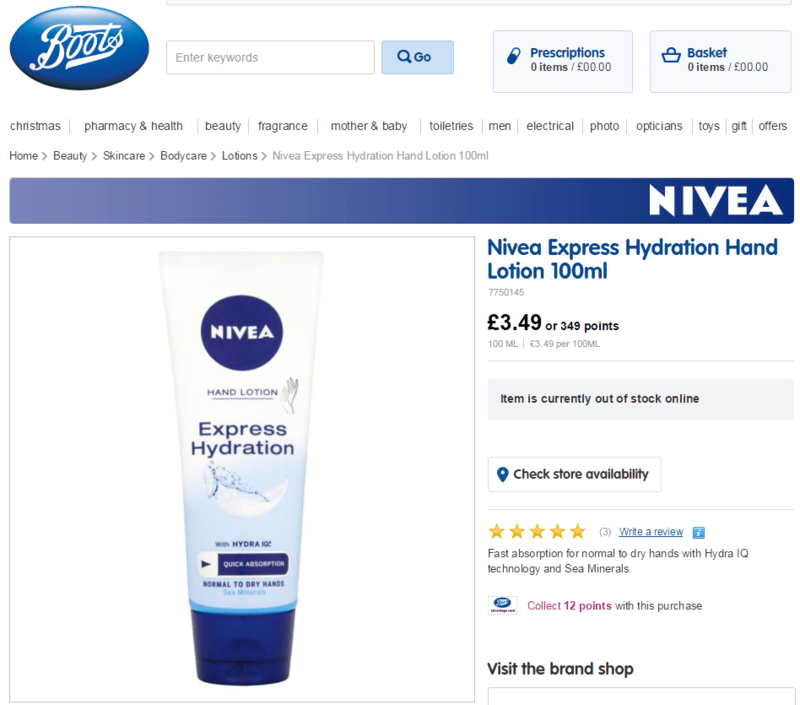 Great advice on the bags – and keeping those hands well moisturised! 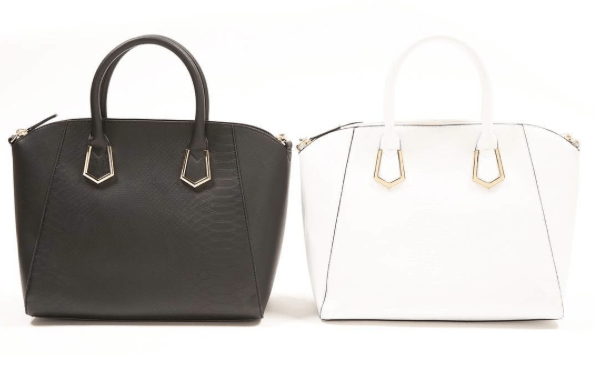 I feel a new handbag shopping trip coming on again …. Yeah they’re really cheap as well! I actually went to Sports Direct last night and bought some purple ones. Turns out Adidas do half sizes and they fitted me better than the Nike ones. Thanks Mia! The trainers are lush aren’t they.